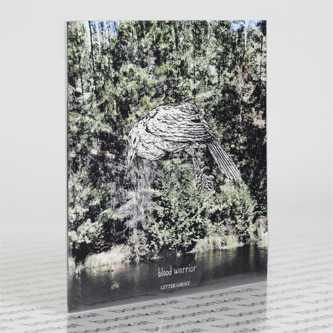 "Blood Warrior makes music that exposes the intricacies of melancholy, unravelling its individual strands of sadness, redemption, and contemplation. The New England based duo turns heartbreak into something much more elusive and dream-like, enriching it with elements of otherworldly fantasy while retaining its raw emotional impact. Their idiosyncratic folk songs reflect this rawness, and they use guitars (at times purposefully detuned), harmonium, keyboards and sparse percussion to create music that is deceptively minimal. Letter Ghost, their second album, is an intimate and individualistic collection of personal elegies that unfolds slowly and carefully. The album unfolds like a long, sleepless night would, progressing from light into the deep darkness, finally transitioning into something new and inviting. 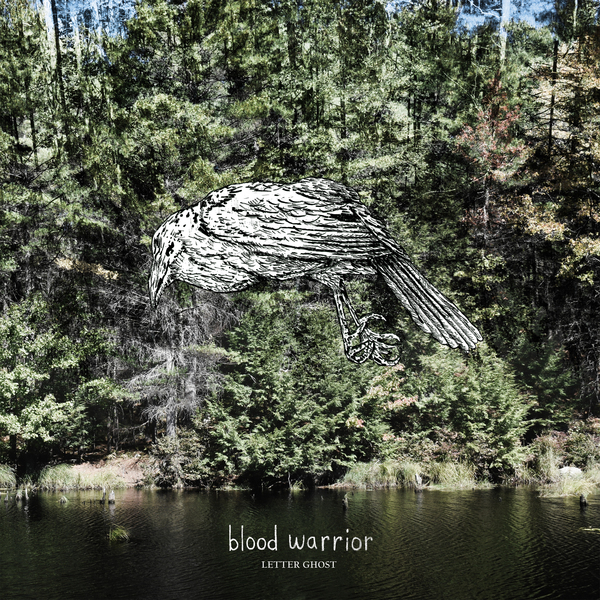 Blood Warrior is Greg Jamie and Joey Weiss, musicians who have been playing music together since high school, and whose musical bond was solidified in those formative years. The songs on Letter Ghost are deceptively simple, and use meditative repetition and circular guitar lines as an anchor for its other more expansive elements. All of Jamie’s vocals on the album are first-takes, and feel at once fragile and forceful. Weiss describes the album as being influenced by the natural environments that surrounded the various locations it was recorded, from the frozen ocean off the coast of Maine to the slowly lapping waves during a summer session on Long Island. There is a distinctly primitive vibe that permeates the album as well, and a wide array of traditional styles, including Peruvian mountain music and Native American tribal drumming in addition to American folk music, are incorporated into these songs. Both Jamie and Weiss have been integral parts of the New England folk underground for some time. Greg’s venue The Oak & The Ax in Biddeford, Maine was a gathering place for forward-looking musicians in the area, and also served as one of the several places where Letter Ghost was recorded. He is also the frontman of O’Death. Joey Weiss also plays in Super Monster and Lazy River, and also served as the recording engineer for these sessions, which were done entirely on a broken 8-track machine. Blood Warrior plans to tour throughout 2015, which will be some of their first shows in some time."